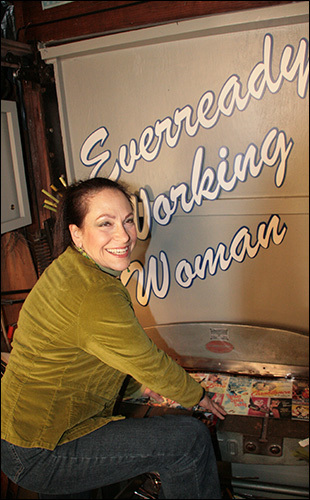 Harriete at the step shear in 2008. This is the old garage door. Now I have an amazing new garage door that is all glass.